local CBS station KCTV aired a segment on beep goes the weasel sometime after 11am this morning! the crew shot 30 minutes of me and gina bullard last week playing carrots, peppers, potatoes, and the theremin. the editors back at the station cut it down to 3 minutes. that means all of my witty banter, home remedies, and tall tales never made it on the air… of course if i were a stand up comedian that last sentence would be followed by the sound of crickets, coughing, and a single drunken chuckle. 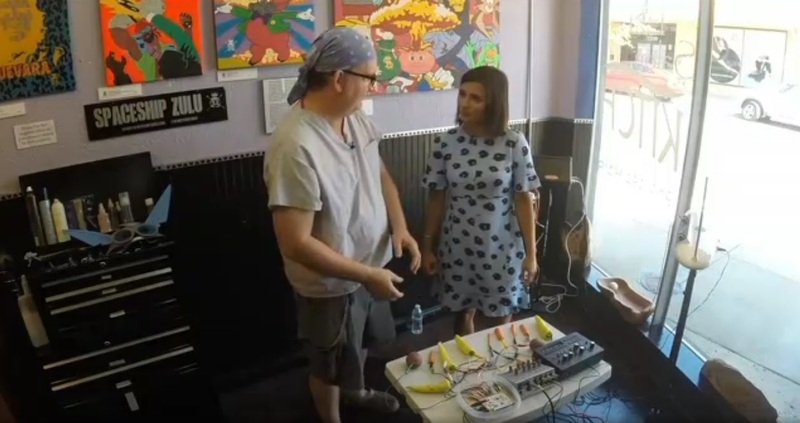 tomorrow morning (7/28) the interactive musical veggie project known as Beep Goes The Weasel will be on Better Kansas City! the KCTV morning show starts at 11am. two years ago on KSHB was the last time we beeped on local tv, and members of that live studio audience are still paying for therapy. i’m not sure when KCTV will air this latest segment that was recorded last week @ Salon Kitch, but sources tell me that a link will be posted here. 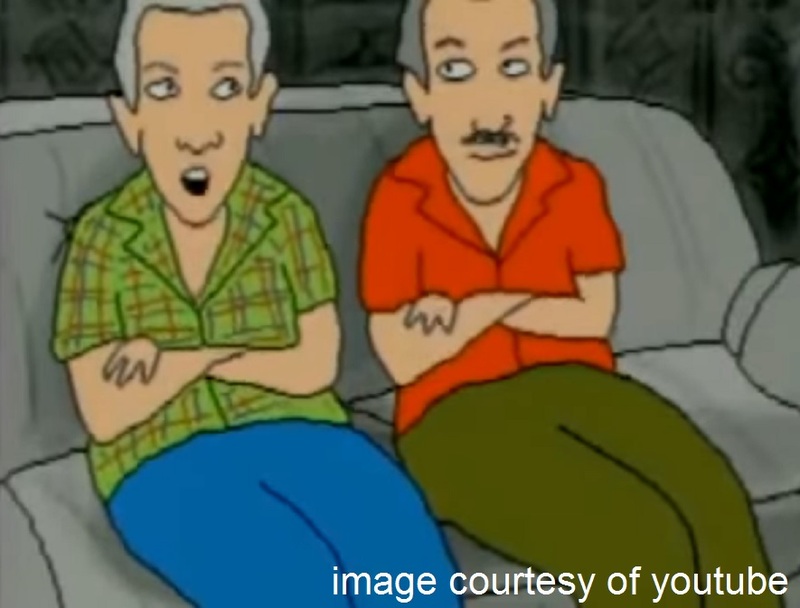 so i was watching reruns of dr. katz on youtube this morning, and saw the smothers brothers getting therapy. dr. katz was a cartoon psychiatrist in the late 1990′s who treated comedians. when i can’t sleep or when i’m slowly waking up this little show helps with those transitions. here’s some audio from the smothers brothers session. 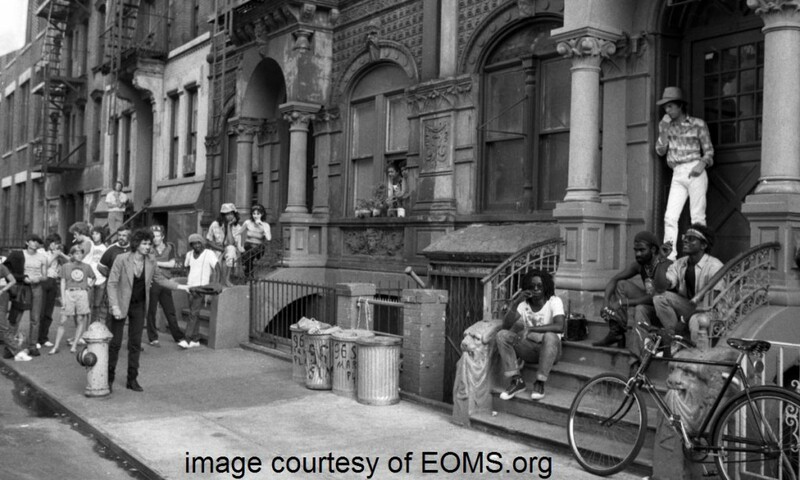 in 1981 mick jagger and keith richards were in new york waiting on a friend. the pic above is from the music video for that song. fast forward 36 years… KCTV contacted me on my birthday & asked if they could do a story on beep goes the weasel. i said “sure!” 3 days later they sent a reporter to salon kitch, and i taught her how to play smoke on the water. now i’m just waiting (like mick and keith) for the video to air on TV. -beep goes the weasel getting back on TV! -birthday cake, pizza, and brussel sprouts at the frierdichs! 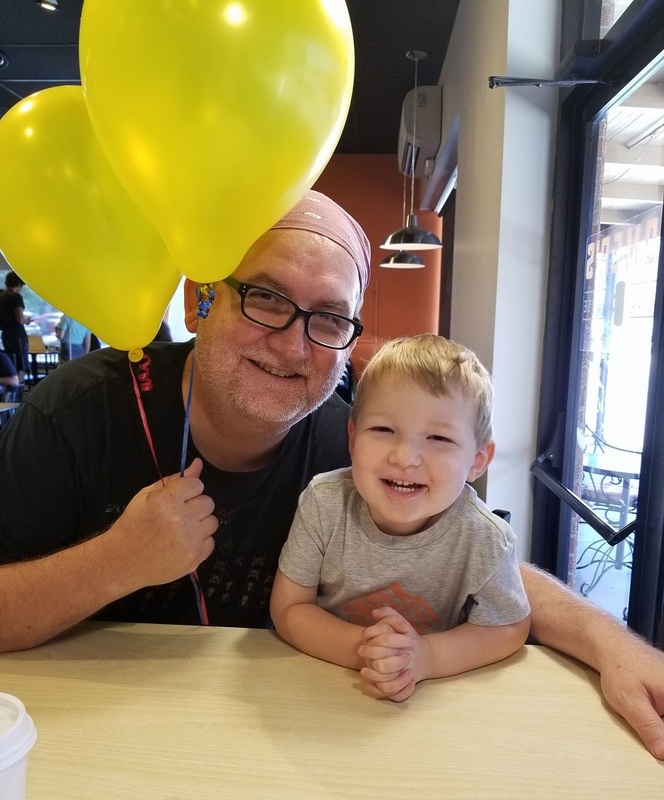 -birthday cake and bratwursts w/tim andersen! -new brakes on the jeep!!! i was 17 when i read my first book by hunter s. thompson. i was browsing through some paperbacks in a joplin bookstore, and had no idea that a raw new style of literature and art were about to do a one two punch to my senses. that’s when i saw the ink splattered cover of the curse of lono. as i read thompson’s words, metaphors, and flashbacks it was like a familiar wolf howl, and it made me want to do write and howl like him. 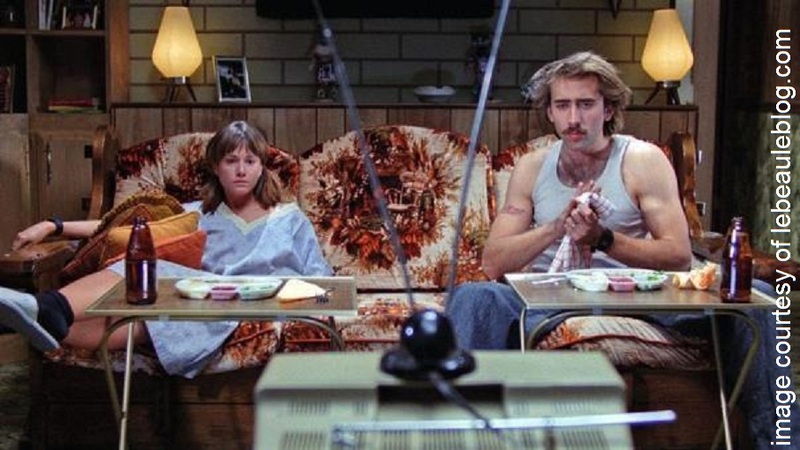 since that fateful day in the mall 34 years ago i’ve read many more stories by the man who invented gonzo journalism: doomed love at the taco stand, fear and loathing on the campaign trail ’72, and hell’s angels. 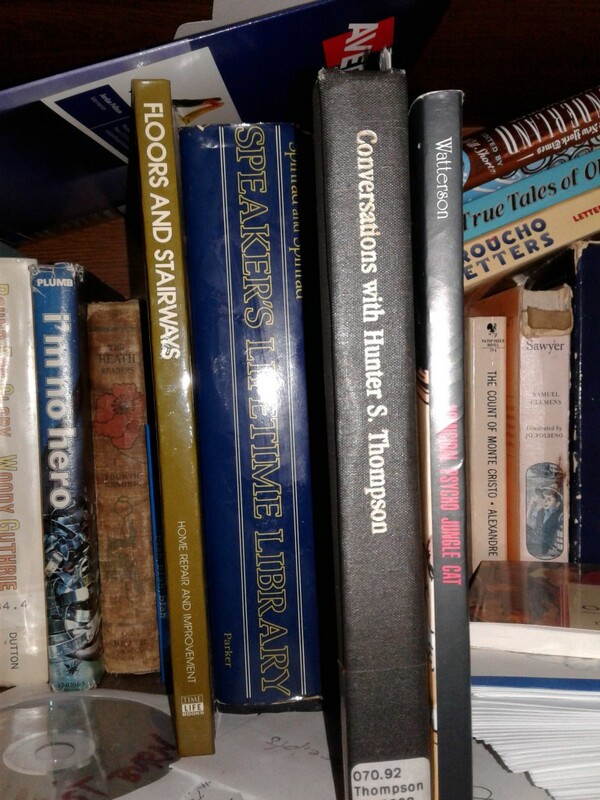 most recently i checked out conversations with hunter s. thompson (above) from the library. it’s been 5 years since i made a post about nicki bluhm and the gramblers. they recorded a series of songs while driving down the road back in 2012, and numbered each van session they posted on youtube. i love their version of hall & oates’ i can’t go for that, especially the kazoo solo. i can make these picture panels that attempt to resemble still shots from a 1970′s TV commercial, but i am not sure how to market The Memory Horse. 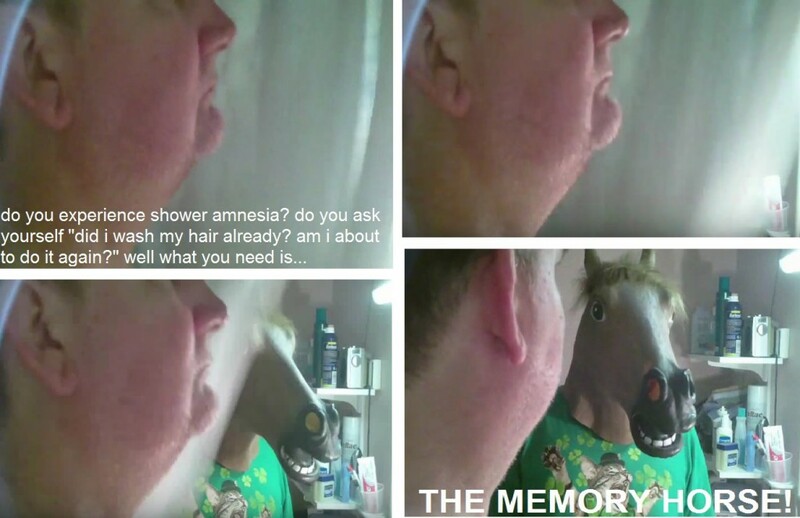 the amount of shampoo and conditioner that you might save would NOT offset the emotional trauma of a stalker horse that willingly walks in on you as you take a shower. most branches of jenny’s family have been converging on marengo, iowa for 45 years like a biker gang going back to their favorite watering hole. the locals are used to it now, and they don’t bat an eye when a trailer full of kids rolls through the town square chanting WE ARE HERMANS, COULDN’T BE PROUDER IF YOU CAN’T HEAR US WE’LL YELL A LITTLE LOUDER. 1972 was the first year of the herman family reunion. 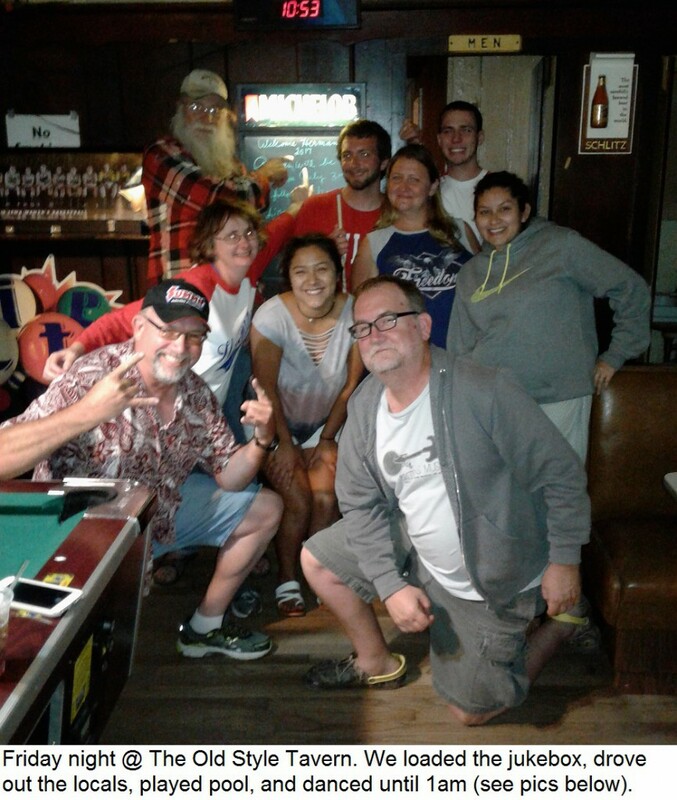 this year there was a smaller turnout (86) but the ones that showed up said “so what?” and still had a good time.